Collaboration avec la Maison Carine Gilson Lingerie Couture. Recherches en broderies, motifs et impressions pour la collection autour de la thématique de la plume. Collaboration with Carine Gilson Lingerie Couture. 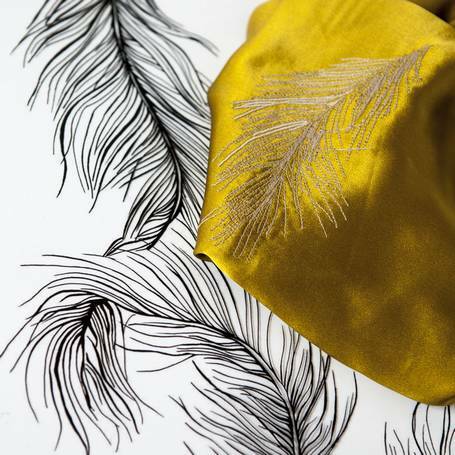 Research in embroidery, patterns and printings for the collection around the thematic of feather.